Despite global competition and the need for speed, flexibility and quality, trends such as lean production and McDonaldization show that Taylorism remains alive and well in the contemporary workplace. There is however a countermovement, particularly in North-West Europe, where successful alternatives are being pursued. 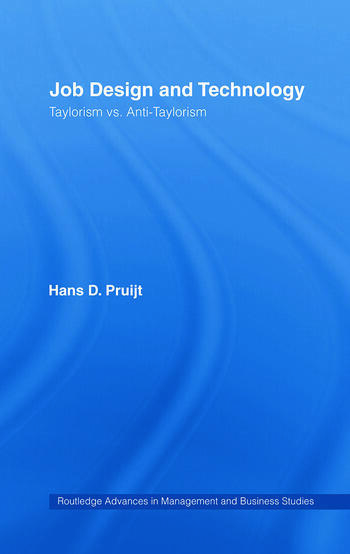 Job Design and Technology fills an important gap, by analyzing 150 cases of anti-Taylorist initiatives in Scandinavia, the UK and the Netherlands. It aims to show that real change can be achieved in the workplace and the quality of the working experience greatly enriched by moving away from the drudgery of the assembly line.